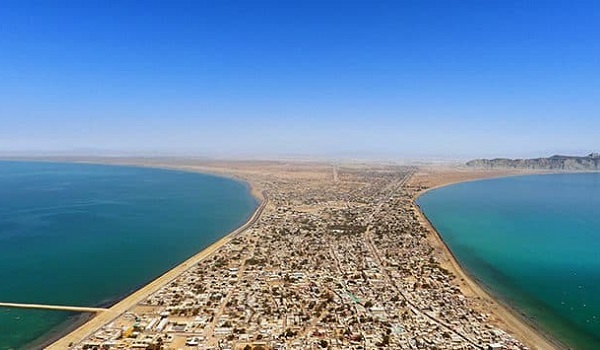 Gwadar is set to become one of the most happening places in Pakistan when it comes to economic development. You’ll be glad to know it is also one of the most beautiful regions in the country and has a lot of gorgeous natural wonders you must visit. Remember to plan your trip thoroughly and pack accordingly, so that you have the most comfortable experience possible. This rock mass was created after the eruption of a mud volcano and is shaped like the head of a hammerhead shark. It provides amazing views of the Arabian Sea and to its south and Gwadar City to its north. This unique rock is a good place to have a picnic on. 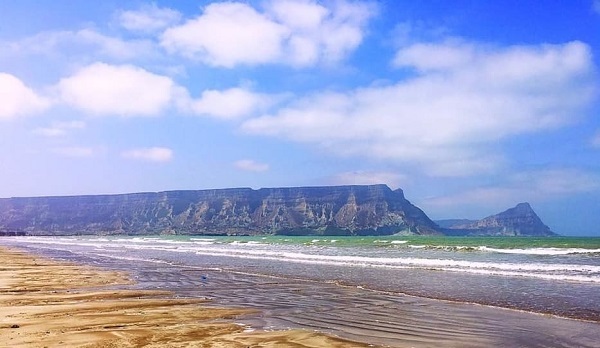 Ormara Beach lies between Karachi and Gwadar on the Makran Coastal Highway, and is a base of naval operations. At 240 kilometres away from Karachi, driving here takes under 5 hours. It is quite an impressive sight as you get to see various naval carriers from the beach, and is one of the best untouched natural beaches in the country. An interesting titbit about it is that it was a pit stop for Alexander the Great and is named after one of his generals who died here, Ormuz. You don’t have to go all the way to Egypt to see the man-made Sphinx. 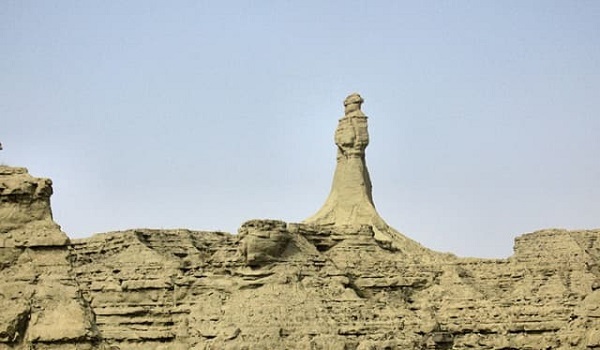 We have one of our own natural sphinxes in Gwadar! 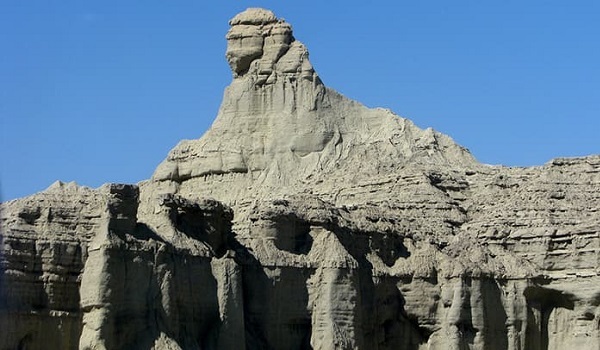 This astonishing rock is naturally shaped like the Sphinx and is right at the top of the range, making it a sight to behold and a popular attraction for visitors. This is another uniquely shaped rock in the area, and is believed to be the result of mud volcano eruptions. It is shaped like a primitive statue of a female and is quite impressive to see due to its immense size and seemingly manmade shape. Baba Chandrakup is one of the few mud volcanoes left in the region, which once had these in abundance. 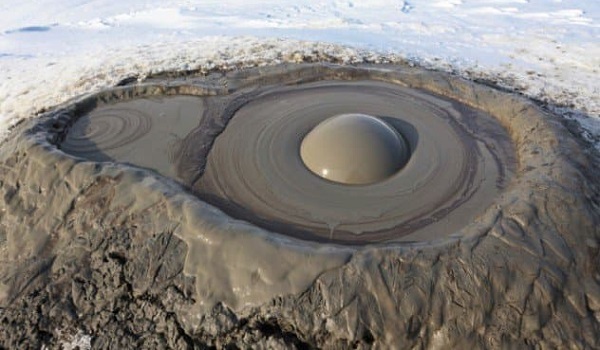 What is unique about this one is that instead of magma, it spews cold mud. 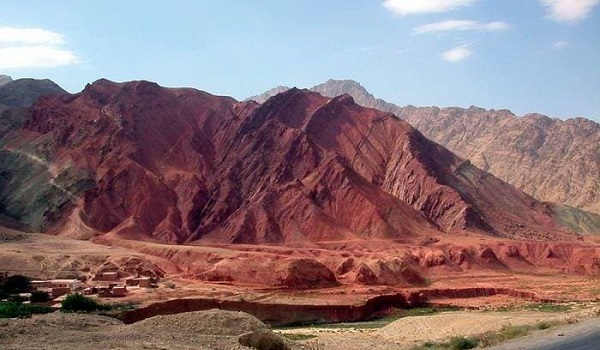 To get there, you have to travel 7 kilometres by foot or hire a four-wheel drive vehicle. It is also a historical place in Hindu mythology and was a site for confessions by Hindu pilgrims. 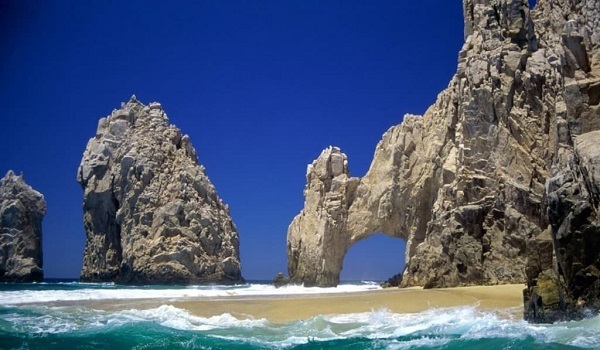 This is located in the Pasni district of Gwadar, and is quite an isolated place, lending great beauty to it. It is also known as the island of the seven hills and is home to a variety of birds, animals, and plants unique to the region. 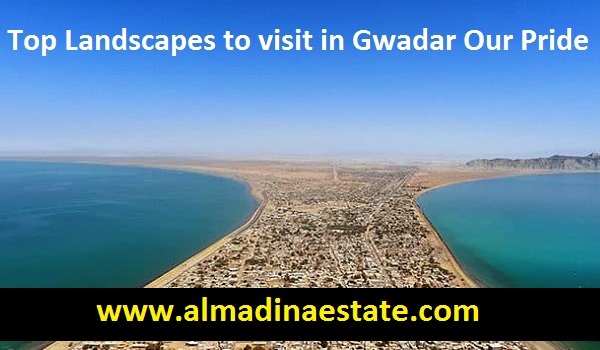 It is one of the best tourist destinations in Gwadar, as you can enjoy camping, scuba diving, and fishing here. 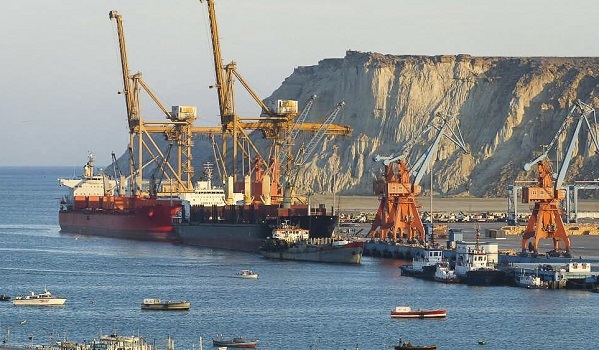 Despite the commercial activity going on here, maybe even because of it, Gwadar Sea Port is one of the most impressive places to see in the region. It connects Pakistan to the Middle East and Central Asia and is an extremely important warm water port, making it a trade centre. The water here is beautifully clear, and you can enjoy fishing and boating. Established in 1988, this enormous national park is home to some of the most impressive places in the country. The Sphinx and the Princess of Hope are both within its bounds. The park supports at least 35 species of mammals, 65 species of reptiles and amphibians, 185 species of birds, and over 250 species of plants. One can see Ibex and gazelles here, along with Houbara Bustards. 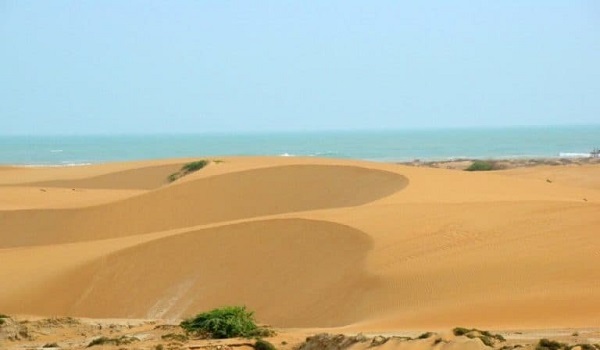 It is located near the Makran Coastal Highwya and has been classified as a nature reserve, due to the diverse wildlife present here, with some indigenous species unique to the area. It also has mangroves along it, adding to its unique beauty. 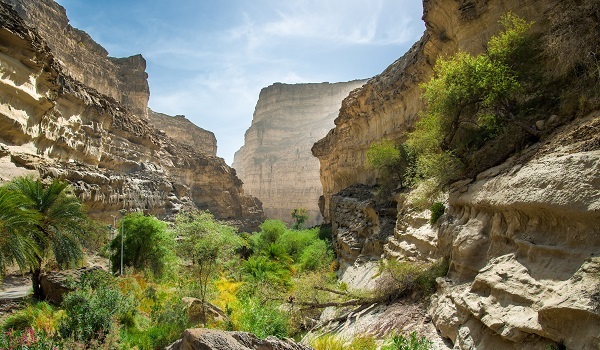 It is a drive of 9 hours away from Karachi and is a haven for migratory birds. When you pass by the Hingol Bridge, this semi-desert is a sight to behold. It provides tourists an opportunity to experience a desert safari and dune jumping. It has also become host to regular jeep rallies and has led to an influx of tourism.